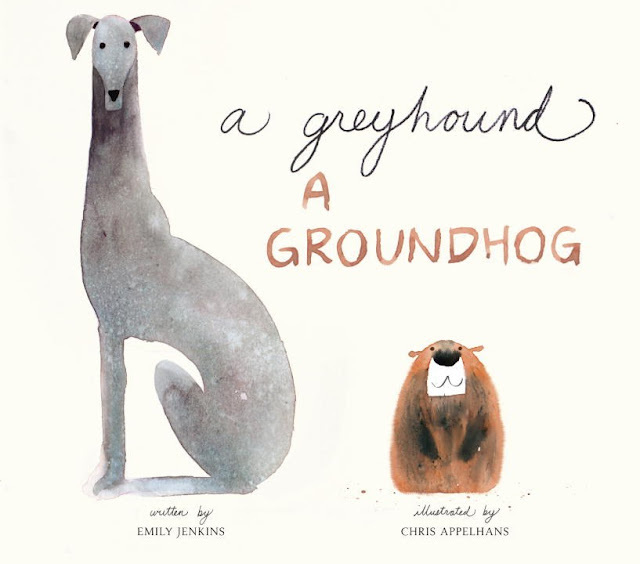 A Greyhound, a Groundhog, written by Emily Jenkins and illustrated by Chris Appelhans is an ode to wordplay. The text plays on itself so that you find yourself tripping over every word as you read it aloud, and the illustrations breathe life into the words on the page. 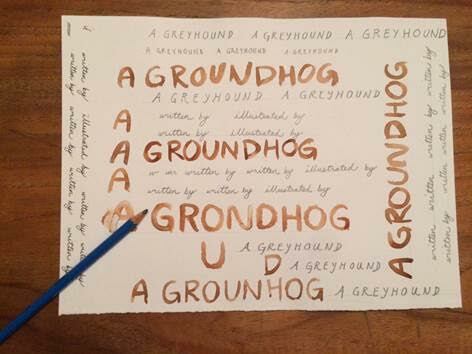 Not only do we read around and around, but we see it, too, in the form of the groundhog and greyhound chasing each other. The level of energy in this book is unparalleled, and I'm thrilled to have had a chance to interview Chris about his process. When a greyhound meets a groundhog, wordplay and crazy antics ensue. The two animals, much like kids, work themselves into a frenzy as they whirl around and around one another. 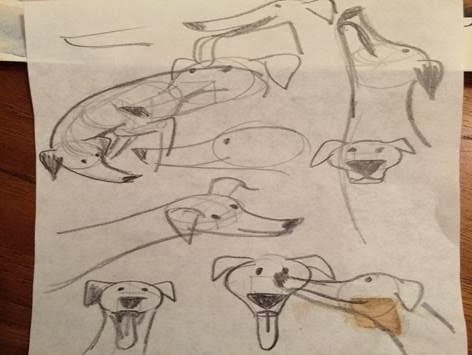 (Around, round hound. Around, groundhog) The pace picks up (Around and around and astound and astound), until they ultimately wear themselves out. 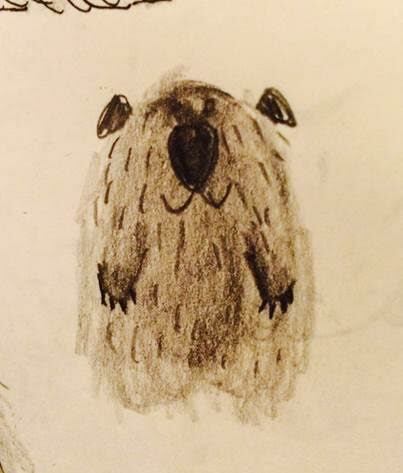 LTPB: What media did you use to create A Greyhound, a Groundhog? 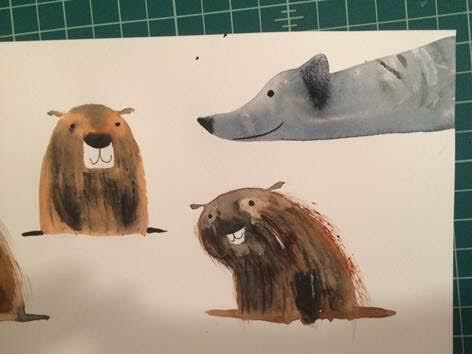 CA: All the initial sketches are done with pencil, and the finals are made with watercolor washes and lots of weird little techniques to create nice textures and colors. LTPB: What is your process like for bringing these characters to life? And you created your own lettering as well, so how do you work to make a unique font that coincides with the tone of the text and illustrations? Does one play off the other? 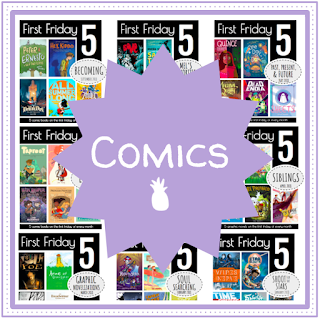 CA: I started this book by exploring the characters, sketching and searching for something that felt unique. Out of dozens of sketches, maybe one or two seemed to have the right 'feeling' so I took those and built on them. 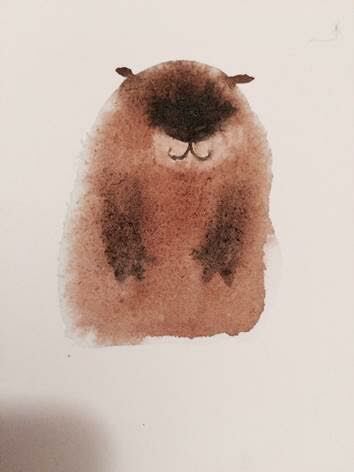 Then I played with how to handle those designs in watercolor, and figured out some basic colors and textures. Finally I put it all together in a spread, and experimented with the type to see if this combination would feel good. When it felt right, I took that approach and dove into the rest of the book. A few months later it was done! 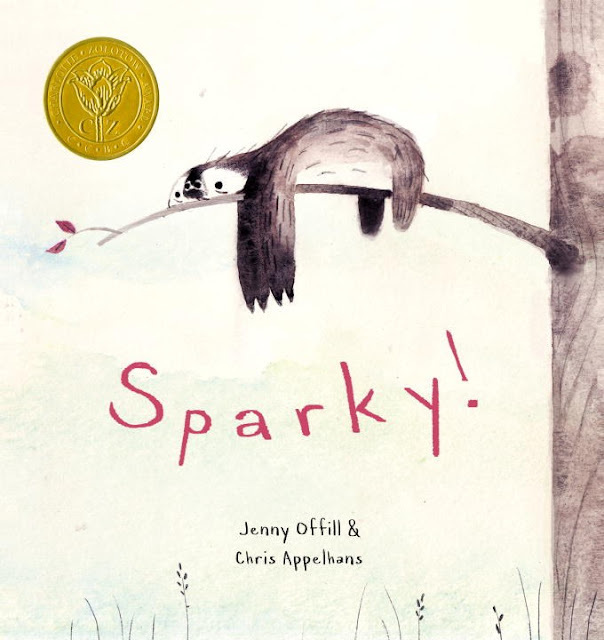 LTPB: A Greyhound, a Groundhog is only your second book, but you’ve already shown such a wide variety of tone between the two: we see an abundance of energy in this book, but your first picture book Sparky! (written by Jenny Offill, published by Schwartz & Wade Books) is much more subdued. What lessons did you take from Sparky! and apply to A Greyhound, a Groundhog? CA: Well the main lesson I’ve learned from doing two books is that I have no idea what I’m doing. 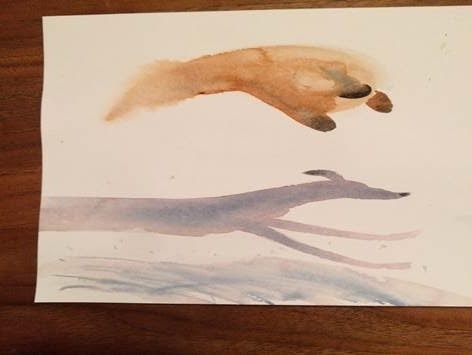 But for me a good manuscript will suggest the illustrations - you read it and suddenly images appear in your head with their own rhythm, style, mood, etc. Sparky! worked more with subtext and subtlety - the comedy of that story was in somebody not doing something. 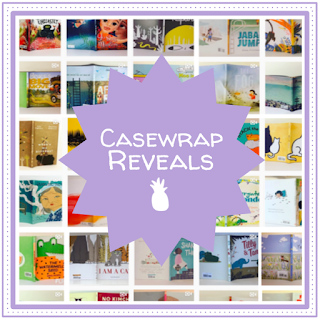 This book called for energy and playfulness to bounce off the wordplay. LTPB: So then how did you work to harness the energy in Emily Jenkins' text? How did you work to make each spread feel independently dynamic and energetic? CA: The manuscript uses the same words over and over, so I wanted to find new visuals for each combination of words. The sparseness also freed up a lot of room on the page to go crazy and break the normal rules of where pictures and words are ‘allowed’ to go. I remember being a kid and enjoying books that would break those ‘rules’ so I wanted to pay tribute in my own way. LTPB: What can we look forward to next from you? 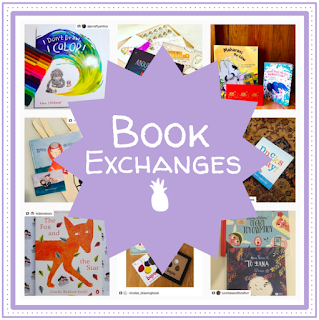 Any chance you’ll be writing a picture book?? CA: Yes! I’m working on two original books with Anne and Lee (Schwartz & Wade Books), but life has been really busy with my film work so I’m hoping to get back to those as soon as possible. 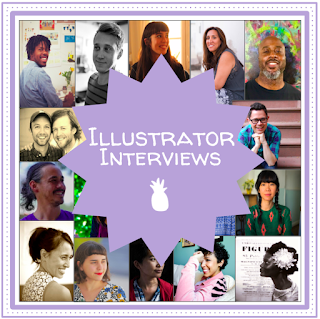 LTPB: If you could have one illustrator illustrate your picture book biography, who would it be and why? CA: Oh gosh. Let’s say William Steig. His drawings have so much personality and feeling, and he’d somehow make my boring life story seem full of magic and wisdom. Or Bill Peet - he illustrated his own autobiography, and it’s amazingly simple yet specific. No wait, Maurice Sendak. Agghh, there’s too many options - this question isn't fair! 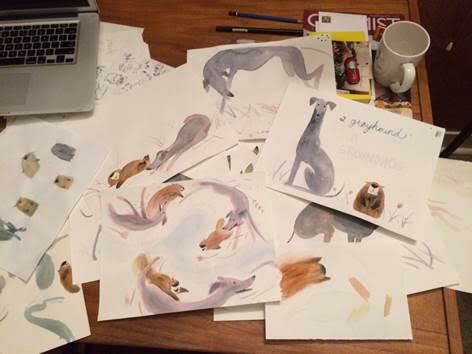 A Greyhound, a Groundhog just published from Schwartz & Wade Books on Tuesday, January 3, 2017, so be sure to run out (and around and around) and get it! A special thank you to Chris for taking time to share his process! Special thanks to Chris and Schwartz & Wade for use of these images!